Massachusetts General Hospital (MGH) is a teaching hospital of Harvard Medical School and a biomedical research facility in Boston, Massachusetts. It is ranked as one of the top three hospitals in the United States by U.S. News & World Report. BCM Controls began a partnership with Mass General Hospital (MGH) in 1984 with the design, installation and commissioning of a state-of-the-art direct digital control (DDC) system with over 10,000 points and 1,500 Controllers. Building on that system, BCM successfully oversaw 2 major system upgrades without interrupting hospital operations. Commitment to delivering the best solution possible has been demonstrated in a wide variety of applications including Operating Rooms, Laboratories, Critical Alarming, Patient Rooms, Chiller Plants, Campus Energy Monitoring and Waste Treatment. 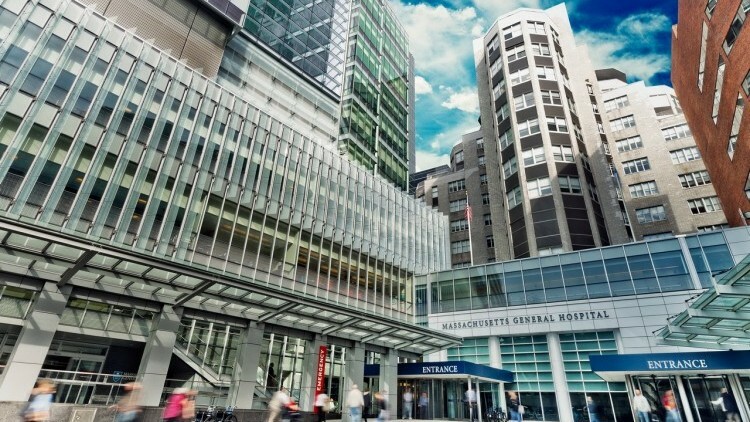 Because MGH wants to minimize energy costs, provide patients with optimum comfort and high indoor air quality as well as monitor critical systems, they turn to BCM for innovative and reliable building control strategies. In response, BCM has offered a multitude of solutions including using the MGH Ethernet network to connect the DDC controls of 18 buildings to a primary file server on the Boston campus with an automatic back up file server located remotely at the Charlestown campus. Other solutions involved the design of an alarm management system with call-list database to simplify monitoring and response by operations staff and “LCD Display sensors” custom programmed for staff to easily adjust Operating Room temperatures. In addition, BCM provides weekly training that allows MGH staff to interact at a high level with their DDC system. MGH awarded BCM the HVAC Controls project for the 10 Story Lunder Building for Inpatient Care, as well as a 6-story underground garage. This 500,000 sq. ft. project included the installation of controls for a 2,500-ton Chiller Plant, 13 custom-built Air Handling Units (total of 500,000 CFM), 800+ VAV/Fan Coil Units, Energy Metering, Carbon Monoxide control as well as Generator and Fuel Oil System Monitoring. In celebration of MGH’s bicentennial, the Lunder Building implemented an expansion in Operating Room Suites and the Emergency capabilities of the hospital. BCM was also the chosen provider of HVAC and Lighting controls for the Charles River Plaza, which contains over 350,000 sq. ft. of research and laboratory space. Specifically, BCM installed controls for a 3,200-ton Chiller Plant, a Boiler Plant, and air handling systems conditioning 500,000 cfm of makeup air. Extensive control and monitoring of the Vivarium floor, including 28 animal holding and procedure rooms are incorporated into the project. There are also over 500 critical laboratory alarms for equipment such as environmental rooms, incubators and freezers. Additional controls include more than 1,000 VAV/Fan Coil Units, smoke and space pressure control and monitoring of dual Generator/Fuel Oil Systems. Many thanks to MGH for a successful working relationship.